I don't want to support Google. The latest incarnation of their famous "Don't Be Evil" motto seems to have eliminated the first word. The current example (of many) is their cooperation with China to build a censoring search engine that eliminates results the Communist government finds, er, "inconvenient." 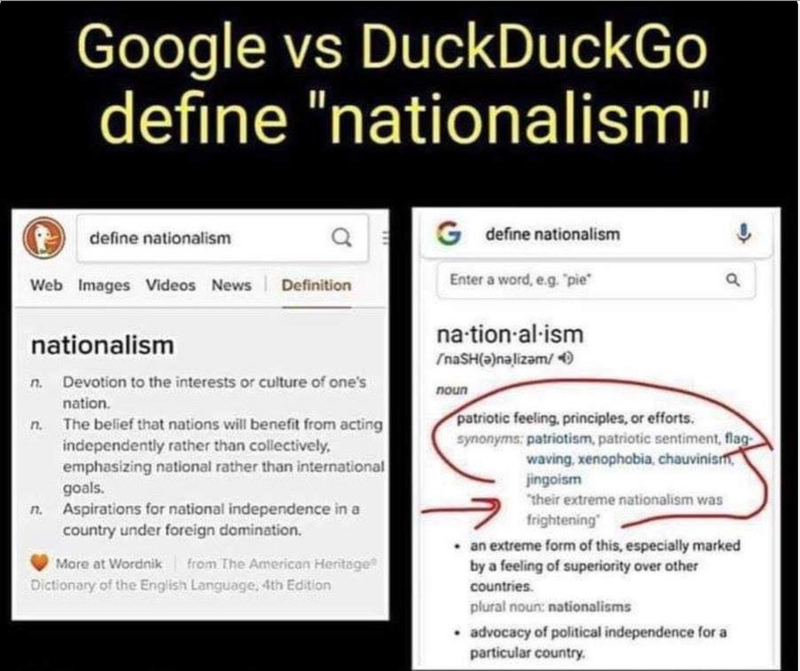 Here is an example from Twitter earlier today (I just confirmed Google's definition is still the same). I have set my default search engine to DuckDuckGo with Bing as my second choice. It works just fine. Only rarely do I use Google. ADDITION: Dossiers on students. More of Google's "Be Evil" philosophy.